We have reproduced a very fine swing out curtain rod, sometimes referred to as "cranes". 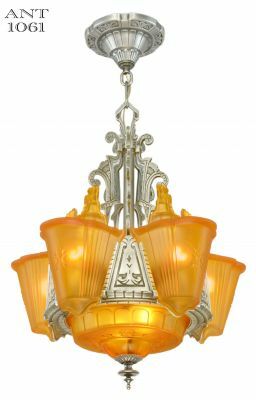 All solid brass instead of plated steel, with lost wax castings for the finest detail. Each rod comes with 6 curtain rings, plus a fixed ring at the end of the rod. Length: It is 18" long closed, with a 13" area for the curtain. It extends to a full 28", with a 22" curtain area. Bracket Footprint: 4" tall by ¾" wide. Projection: Wall bracket extends out from the wall by 3 ½", and has rod stops to prevent the rod from banging into the window. Spring ball bearing stops are at every ½" on the rod adjustment, with leveling rivets to help prevent sagging while extended. 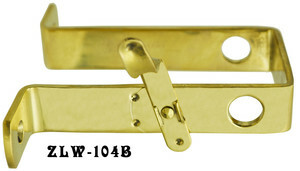 Please click here to see the matching rod for the opposite side: ZLW-104CR. If you have antique curtain rods and just need to replace the ornate bracket, we now have the curtain rod bracket only for sale.